Shirodhara is a purifying and rejuvenating therapy designed to eliminate toxins and mental exhaustion as well as relieve stress and any ill effects on the central nervous system. 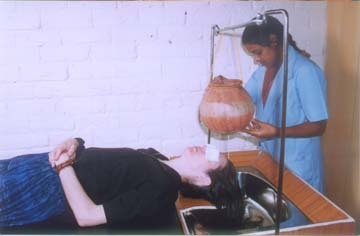 Shirodhara is a unique form of ancient therapy of pouring oil on the forehead from a specific height and for a specific period continuously and rythmatically allowing the oil to run through the scalp and into the hair. This is a subtype of Murdha taila which means keeping the medicated oil on the head region. The types of Murdha taila other than Shirodhara are Shiro Abhyanga, Pichu And Shiro Basti. So the concept of shirodhara is mainly concerned with the application of oil though the other liquids are also used for the therapy but they are associated with specific clinical conditions. Shiro means head and dhara means to flow. 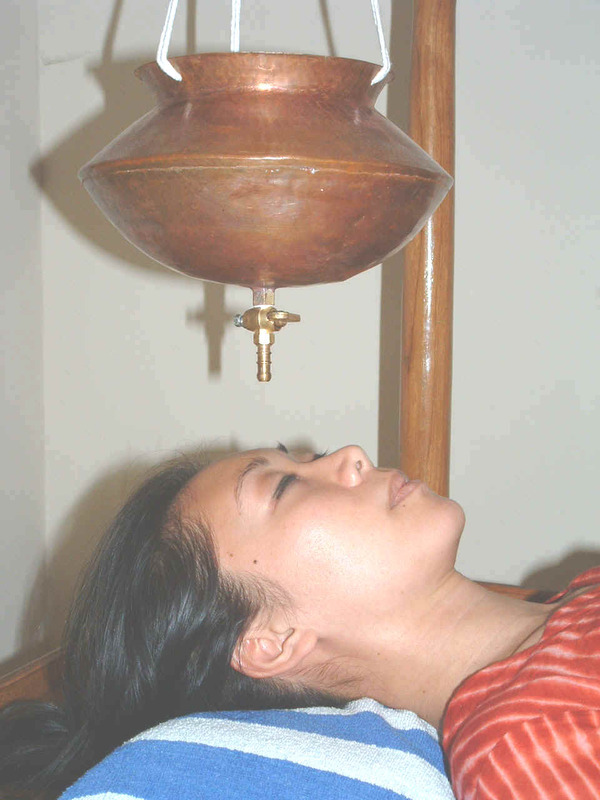 Shirodhara involves gently pouring liquids over the forehead, more specifically stated- on the �third eye�. It is the chakra point just above and between the eyebrows which is said to be the seat of human consciousness. The liquids used in shirodhara can include oil, milk, buttermilk, coconut water, or even plain water according to the various treatments for different benefits.